And if you didn’t get to see the show, I think it will be on marthastewart.com soon. Try searching cupcake pops. Previous PostThese Pops Are Gonna Be Stars! you looked amazing. I can’t be Martha referred them as “turds”. I hope you had a blast. Congrats! I saw you on Martha and had to look up your blog right away! I was browsing some of your earlier posts and am very impressed and inspired! You are so creative. I can’t wait to try some of our recipes and decorating ideas. Count me as one of your new fans! It was great! You did so well and your cake pops were a hit! Congratulations! I sware. I wanna be like you when I grow up. Haha. Congratulations! You are a wonderful YOU indeed. You were cute funny and lets just say you brought out a side of Martha that hadn’t been seen by me before. I loved the show and I must say I cant wait to try the cupcake pops. I LOVE THEM…. 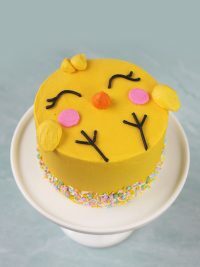 I also wanted to know is there a way to make white cake or yellow cake kinds of them? Just asking the pro. THANKS for letting us in on this lovely treat…. My daughter and I are planning the day we will make them now. God Bless you and keep on baking!!! Have a great trip! NYC is the best! I use to live there and I miss it so!!! I just saw the video on Martha’s web site! You were so cute! You totally kept your cool as Martha snacked away and kept saying “turd.” LOL! I love your haircut! And, I am definitely going to make those pops! Wow! I have been checking out your blog for a while now. How amazing to be asked to be on Martha! Congratulations you really are so creative. 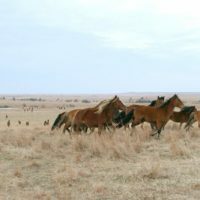 my computer was on the fritz all last week so i wasn’t able to check your blog until tonight. i can’t believe i missed you on the show but thank goodness it is online. you did great and i’m so excited for the wonderful opportunity you had!!! Seriously, good job. Your blog is great fun to read – i’ve been lurking for months. Congratulations again, and I hope you enjoyed the big apple. Cheers! PLEASE tell us more about your experience on the show! Did you help prep? Did you get to spend time in that fab kitchen? Did you meet Martha prior to the segment? Did you go home with any ‘partying gifts’? Congrats on being on the show…you did a great job! Can’t wait to hear about your experience!! I totally forgot to watch but I’ll look for a re-broadcast!! Oh i just love your recipe, and saw your blog (post the martha show) and the cupcakes with the roses on them…sooo pretty…congrats ! I loved you on Martha Stewart! You have a wonderful talent. This is just the beginning…great things are coming your way!! Good for you! 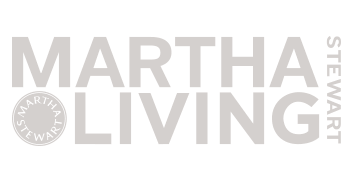 I just found your website earlier in the week and was able to catch the Martha segment. You did great. The cupcakes are beautiful. I am going to make them for my daughter’s first birthday party. Congrats to you for finding your passion!! I loved seeing you on the show! 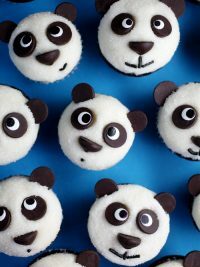 Great job on the cutest cupcakes ever! I really want to make these with my 3 1/2 yr old, maybe for her birthday! I thought they were much harder to make (always wondered from the pictures how you got that cute shaped cupcake! :) Now I know and could DEFINITELY do it! YAY! Good luck with the business I have a feeling they would be really popular! I have just watched you on Martha’s website – it will take forever for that episode to be aired here in Brazil and I just could not wait! You are so adorable and such a good sport, you and Martha made me laugh and also made me want to run to my kitchen and bake!! Just checked out your blog after seeing you on Martha. LOVED the cupcake pops! You were so cute on the show and I adore your blog now. I just put your link on my blog so I won’t lose it and so others can see your fantastic creations. So inspiring…thanks for sharing your amazing ideas! It looks like you gained quite a loyal following with your “15 minutes.” You were adorable, the pops were adorable…it was kind of funny watching Martha trying to be personable…while dipping turds in chocolate. Priceless! I can’t wait to make another batch! I just got an opportunity to catch up with the DVR this weekend and I saw your segment on Martha. I have been making cake balls for a few years now and I just love your new twist! You were GREAT on the show. I also love your blog. Blessings for your future successes – I am sure there are many to come! I just watched the show today. I have been making cake balls for a few years now but I just love your new twist on them. I am sure you have much success in your future. You looked GREAT on the show. Caught the whole segment! I didn’t know who was going to be on the show but when she introduced you and you mentioned your blog, I wasn’t surprised! I have you bookmarked but haven’t been home to read for a week due to vacation! Congrats! You were fab on Martha! I started reading your blog a few months ago and couldn’t wait to see you on Martha. I can’t wait to make cupcake pops. They look so cute and the combination chocolate cake with cream cheese frosting is brilliant. Way to go! First of all, you were great on Martha Stewart and I appreciate you sharing what you love to do. 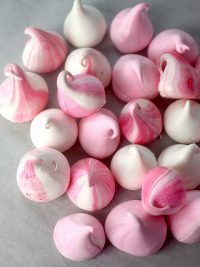 absolutely love these and would like the recipe for a yellow cake mix if possible. I want to bake these in both chocolate and white. I know you’ll be busy but please email me with the recipe. Thanks again!! Holy Crap! Martha Stewart said turd-like! Are you freaking kidding!? I have been in love with these little babies from first sight by the way! great job and big congrats being on with Martha. I adore your blog. Keep up the marvelous work! great segment on martha stewart! (MS)glad i found your blog. on the MS show it showed cupcake pops that had candied letters on them? where can i get those? i want to use them this Sat. for my daughters confirmation. You did such a great job on the show, I am glad you mentioned your blog or she did…I am excited to keep up with it! You looked so cute with Martha! You’re a definite natural for the camera :) Can’t wait to see what your next creation is…maybe an umbrella cupcake for all the rain Atlanta’s been getting! Just want to let you know you are an international star!!! I’m in Australia, was just watching Martha and saw your wonderful cute little cupcakes. What an awesome idea! I will definitely be making these for my daughter’s birthday! Congratulations on your success I see great things for you! I can’t wait to see what you are going to be up to next! you are such an inspiration! Congratulations! I’ve visited your blog for a while and all the things that you have createdand are really fantastic . You are definitely an inspiration.Even though I do not live in the States,because I’m from Caracas-Venezuela, I was counting the minutes to watch the video on martha’s page. You did a wonderful job! Once again, Congratulations! I told all my friends – we’ve been making your pops since you first put them on- we loved seeing you in real life. Your recipes are amazing- I can’t believe you don’t own your own business. You should at least write a book with all your great ideas~ seriously!! hello there, greetings from Malaysia :). I watched the show online & immediately checked your blog. I absolutely adore your creation. I am planning to make these miniature treasures for my party. I didn’t know anything about you until I saw you on Martha. I thought you were terrific! Your blog is fantastic and an inspiration. Thank you! I discovered you on Martha, is there a way of signing up for your blog – like a newsletter?? Congrats! I loved the segment. So nice to see a home baker make it big! This could lead to bigger things for you. Are you ready?! 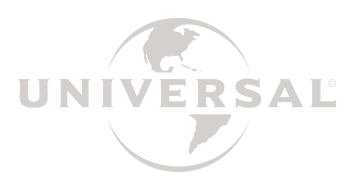 I’ll admit that it was seeing oyu on Martha that introduced me to your site and I LOVE it!! I have about 4 different grocery lists from recipese of things I want to start baking. I’m so excited to start trying your stuff!!! Hi Bakerella…it was great seeing you on Martha Stewart, and being able to meet the face behind all the cute little desserts that you make. Good job! I just watched you on the Martha Stewart website – it was lots of fun! I’ve done the cake balls before and loved them, and now I can do the cake pops, having seen in more detail how they are done. You are so creative, and I admire your talent at making fun desserts. Great job! There are many segments on Martha which capture my full attention; but none have, until now, motivated a recipe search, and a blog search, and ultimately, a comment. Thank you for sharing your cupcake pops; I’m truly appreciative. Hi….absolutley love all your ideas…I am looking for an idea for a graduation party….something cupcake (or other)to serve as a favor & double as a centerpiece? Any ideas or suggestions? I LOVED IT!!!!!!!!!!! You are so cute and you got to meet Emerill too!!!! What did he have to say about your Cupcakes? It is so nice to see an at home baker get on Martha, makes me so proud of you!! WAY TO GO!!!!!!!!! We all are so excited you did this, so we can all be inspired once again by you! You are amazing! Our website will soon be featuring you as a PROJECT IDEA, and at one of our upcoming boutiques! My family helped me make some mini-cupcakes for my daughters 4th birthday party & then St. Patricks Day. We are so glad to see you do it on video so we can understand better & practice again! FYI- we also tried strawberry & rainbow chip cake. They were good, but chocolate was probably the best! I, too, saw you on Martha, in fact I watched the show again when it replayed later that night. You were wonderful, so sweet and so relaxed. And your segment was the best for the entire week. PaperBuzz. Keep on baking – your treats inspire us to design invites for parties. Thanks for the inspiration! 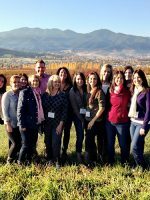 I just found your blog through MomBlogs, although I think I’ve been here before. Congratulations on being on the Martha Stewart show! I missed that episode, so I hope to see it somewhere soon. I’ve added you to my blog, The Downtown Boutique, as one of my favorite “foodie” blogs. I’m now very anxious to try out some of your recipes! I live in NYC Staten Island to be exact and I loved your episode. My oldest son’s birthday is coming up and I want to try and make these cupcake pops. My husband is currently in Iraq and I know he would love these, but they will have to wait till he comes home in 2 months make sure I get red white and blue sprinkles! You did a great job! You now have another new faithful reader of your blog, next time your in NYC lemme know and I will show you Staten Island lots of good stuff here! Congratulations on your appearance on Martha! Today is the first time I found your blog and fabulous ideas and pictures — they are amazing. I would like to add the red velvet cake balls to a cake I am doing in 2 weeks. I was wondering if you know what type of ribbon works best to wrap around cakes, the kind that don’t absorb the oils from the cake and the color…. I am sooo excited to have found your site — thank you! Congratulations on your appearance on Martha! I will have to find that segment and watch you! Today is the first time I found your blog and fabulous ideas and pictures — they are amazing. I would like to add the red velvet cake balls to a cake I am doing in 2 weeks. I was wondering if you know what type of ribbon works best to wrap around cakes, the kind that don’t absorb the oils from the cake and the color…. I am sooo excited to have found your site — thank you! You did a WONDERFUL job on Martha- you are adorable!! I had just discoverd you a couple days before seeing the promo on them for Martha and was so excited for you!! Hope you had a blast!! You were fantastic! You’re truly an inspiration to all of us novice bakers out there… Being on Martha, & having Emeril there the same show! It’s like Mecca! Congrats! So glad I got to see you on Martha’s website! I searched and searched for the show on my cable guide but couldn’t ever find it!! I tried my hand at making these adorable little cupcakes but they were not nearly as cute as yours. Watching the video helped tremendously and am so excited about making these for my little girls 1st birthday!!! LOVE THEM and YOUR BLOG!! You’re great congrats on the Martha gig!!! I recorded your Martha episode on my DVR and watched it this past weekend. You did so good! I was realy impressed. And I can’t wait to make some cake pops and see how they turn out. loved the show. Did you come up with the recipe on your own. I am just starting to bake and find it sooooo difficult. You are an inspiration! Thanks for posting all about your lovely creations! I can’t wait to give these little guys a try! Thanks! YOU ROCK! I was really excited to see your cupcake pops! I have quadruplets that are having their 1st birthday party in a couple of weeks and I am going to try and make them. We are having a lot of guests who have helped us in the first year and these pops are perfect. Love them!!! I hope I can find the time to try them out! i thought you were just adorable on the show. so glad i found your blog. you have adorable stuff! Wow! You are so talented. I just posted my first cupcake attempt on my blog. Hopefully it won’t be the last. Wow, you are really inspiring me. 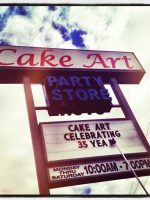 I was searching the web a while ago since I started taking cake decorating classes. And I came across your Blog, you are amazing. Thank you for sharing all of your gifts and talents with everyone. PS. Loved the red velvet cake balls. It was super fun to see you on martha after being a lurker of your blog for quite some time – you were adorable and your pops looked scrumptious! Thanks for sharing your recipes! I loved your Cupcake pops on Martha, I had to find your blog right away…so inspirational, beautiful and creative. I am a baker at a brownie company and just loved Cupcake week (cookie week too) and just wanted you to know that you have quite a product…I think you are onto something. Best of luck and great job on the show. 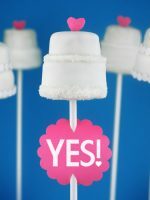 i just made the cake pops for my son’s birthday party, then saw your mini cupcakes on martha.com today! that is amazing, and i just wanted to congratulate you!!! I’m thinking that Martha offered you a job on her creative team of bakers and your not coming back to the blog world! :) HA!HA! How exciting to be on the MARTHA STEWART show!!!!! WOW~ I am soooo excited for you! You are definately one creative & inspiring cookie! Congrats! What a wonderful accomplishment! Very exciting! You did a great job on Martha! I can’t wait to make the cupcake pops! They look amazing! Wow! The cake pops are so neat! What a great idea! I was wondering something, I have looked everywhere for a 1.25 flower cutter. Do you or anyone know where to get them. I am dying to try these pops. I absolutely LOVE these cupcake pops! All our your other creations are awesome too! I wish I could just sit down and come up with stuff like that! You’re so talented! Congrats on getting your name out there! Looking forward to your new creations! I saw you on the Martha Stewart show and I loved your cute little cupcakes. I can’t wait to make them myself. When you mentioned you had a blog, I had to check it out. I love all your ideas. They are so cute and I can’t wait to try some of them out. Hi Bakerella! I am Veronica from the Philippines. I was inspired by your Oreo Truffles and so I made some myself using local Oreos, or what we call here as Cream-Os. 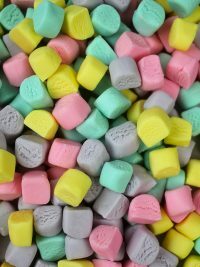 I shaped it into different shapes and dipped it in child-captivating vanilla-flavored colorful chocolates. Please check out my site at http://veronicaskitchen.multiply.com and see what I’ve made. Keep on inspiring! I wasn’t home on Thursday so I DVR’d Martha Stewart. i just watched it yesterday and it was so great seeing you on the show making the cupcake pops. you were great! thank you for sharing your great idea with us!!!! I just watched your demo on ST show. Brilliant! You are a Star! Hi! Your pops are SO cute! I’m happy that Martha has brought you to me, I love your site. 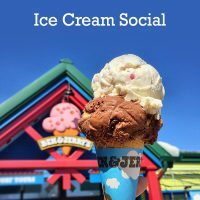 So I want to make the pops for a party next week, but don’t know exactly how to serve them? There must be a cute way to display and serve them besides a block of Styrofoam? Any ideas? I’m excited to try them out. YUM! Jenny said…you looked amazing. I can’t be Martha referred them as “turds”. I hope you had a blast. Congrats! Bakerella : Thanks, you and me noth. I mean I don’t think that most people hear that from Martha Stewart. But she did have a very polite way about it, don’t you think. And I did have a blast. Bakerella : Thanks, me too! Anonymous said…I saw you on Martha and had to look up your blog right away! I was browsing some of your earlier posts and am very impressed and inspired! You are so creative. I can’t wait to try some of our recipes and decorating ideas. Count me as one of your new fans! Bakerella : glad youlooked me up. welcome! karen said…It was great! You did so well and your cake pops were a hit! Congratulations! Bakerella : Thanks a bunch. Isa said…I sware. I wanna be like you when I grow up. Haha. Congratulations! A Savvy Event said…Have a great trip! NYC is the best! I use to live there and I miss it so!!! Bakerella : NYC was great! It was my first time there, so I’ll have to go back when I have more time to sightsee. Jane said…I just saw the video on Martha’s web site! You were so cute! You totally kept your cool as Martha snacked away and kept saying “turd.” LOL! I love your haircut! And, I am definitely going to make those pops! Bakerella : I may have looked like I was calm… but trust me, very nervous would be a better descrition for sure. Shauna said…Wow! I have been checking out your blog for a while now. How amazing to be asked to be on Martha! Congratulations you really are so creative. Bakerella : I was pretty shocked. Thanks! K. said…You did a great job on the show – you must have been so nervous to meet Martha! (I would die!) Congratulations!! Bakerella : Thanks, and I really was! Jenny said…my computer was on the fritz all last week so i wasn’t able to check your blog until tonight. i can’t believe missed you on the show but thank goodness it is online. you did great and i’m so excited for the wonderful opportunity you had!!! Bakerella : I know, it’s really weird going to the martha stewart website and being able to see myself on it. It’s crazy! raegan said…Seriously, good job. Your blog is great fun to read – i’ve been lurking for months. Congratulations again, and I hope you enjoyed the big apple. Cheers! Bakerella : Thanks for lurking and nyc was really cool. Kelley said…PLEASE tell us more about your experience on the show! Did you help prep? Did you get to spend time in that fab kitchen? Did you meet Martha prior to the segment? Did you go home with any ‘partying gifts’? Bakerella : I helped prep the day before in the fab kitchen and also worked with the even more fab kitchen team. We didn’t get an gifts on our show. Too bad we weren’t on the first day. They gave away cupcake trees. RecipeGirl said…Can’t wait to hear about your experience! !I totally forgot to watch but I’ll look for a re-broadcast!! 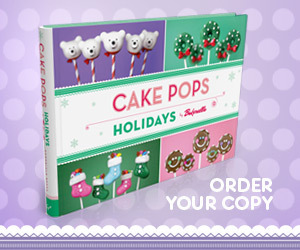 Bakerella : It’s on MarthaStewart.com – just search cupcake pops for the video. 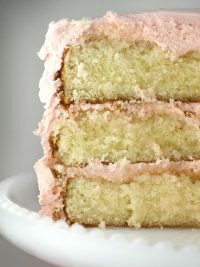 Shruthi said…Oh i just love your recipe, and saw your blog (post the martha show) and the cupcakes with the roses on them…sooo pretty…congrats ! Bakerella : I’m glad you visited! barbara said…I loved you on Martha Stewart! You have a wonderful talent. This is just the beginning…great things are coming your way!!Congrats! Anonymous said…Good for you! I just found your website earlier in the week and was able to catch the Martha segment. You did great. The cupcakes are beautiful. I am going to make them for my daughter’s first birthday party. Congrats to you for finding your passion!! Bakerella : Good luck! Hope your party is fantastic. Bakerella : you can definitely do it. your daughter will love them. Patricia Scarpin said…I have just watched you on Martha’s website – it will take forever for that episode to be aired here in Brazil and I just could not wait!You are so adorable and such a good sport, you and Martha made me laugh and also made me want to run to my kitchen and bake!!Congratulations! Bakerella : Oh good, I’m glad you liked it. Mrs. Grizzle said…Just checked out your blog after seeing you on Martha. LOVED the cupcake pops! You were so cute on the show and I adore your blog now. I just put your link on my blog so I won’t lose it and so others can see your fantastic creations. So inspiring…thanks for sharing your amazing ideas! Bakerella : Thank you. Hope you visit again. Aunt LoLo said…It looks like you gained quite a loyal following with your “15 minutes.” You were adorable, the pops were adorable…it was kind of funny watching Martha trying to be personable…while dipping turds in chocolate. Priceless! I can’t wait to make another batch! Bakerella : I agree. And now, unfortunately anytime I hear that word, I’m sure I’ll think of Martha. Definitely two words that should not go together. The Nieves 6 said…I just got an opportunity to catch up with the DVR this weekend and I saw your segment on Martha. I have been making cake balls for a few years now and I just love your new twist! You were GREAT on the show. I also love your blog. Blessings for your future successes – I am sure there are many to come! Bakerella : Thanks, I love cake balls too. Red velvet especially! Giabella Designs said…Caught the whole segment! I didn’t know who was going to be on the show but when she introduced you and you mentioned your blog, I wasn’t surprised! I have you bookmarked but haven’t been home to read for a week due to vacation! Congrats! Bakerella : So glad you were able to watch. Bakerella : Thanks! I made some before hand just to practice and then I made a bunch that went to the show.. Anonymous said…You were fab on Martha! I started reading your blog a few months ago and couldn’t wait to see you on Martha. I can’t wait to make cupcake pops. They look so cute and the combination chocolate cake with cream cheese frosting is brilliant. Way to go! Bakerella : cute and tasty too! Anonymous said…First of all, you were great on Martha Stewart and I appreciate you sharing what you love to do. absolutely love these and would like the recipe for a yellow cake mix if possible. I want to bake these in both chocolate and white. I know you’ll be busy but please email me with the recipe. Thanks again!! 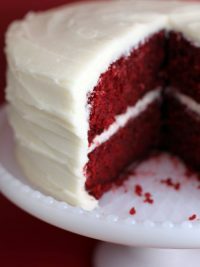 Bakerella : you can use any cake mix and frosting combination that you want to try. Or home made cakes, too! Just bake in a 13 X 9 pan and use a can of frosting or up to 2 cups homeade equivalent. elizabeth said…Holy Crap! Martha Stewart said turd-like! Are you freaking kidding!? I have been in love with these little babies from first sight by the way! great job and big congrats being on with Martha. I adore your blog. Keep up the marvelous work! Bakerella : I know… holy crap is right! Bakerella : go to martha stewart .com and you search cupcake pops to see the video.  Gerianne said…great segment on martha stewart! (MS)glad i found your blog. on the MS show it showed cupcake pops that had candied letters on them? where can i get those? i want to use them this Sat. for my daughters confirmation.thanks! Bakerella : The letters are made using candy melts/ candy coating/ chocolate bark (melted) and pored into a chocolate mold. You just put them in the freezer for a few minutes and take them out to release from the mold. Here’s a link to some molds. Vanessa said…You did such a great job on the show, I am glad you mentioned your blog or she did…I am excited to keep up with it! It was a plus that she asked the name of my site. Yay! Julia said…You looked so cute with Martha! You’re a definite natural for the camera :) Can’t wait to see what your nextcreation is…maybe an umbrella cupcake for all the rain Atlanta’s been getting! Bakerella : You think so? And it rained some in NY too. Oh and it was cold. I want to go back when I have more time to see the city. Cai said…Just want to let you know you are an international star!!! I’m in Australia, was just watching Martha and saw your wonderful cute little cupcakes. What an awesome idea! I will definitely be making these for my daughter’s birthday! Congratulations on your success I see great things for you! Bakerella : Wow… Hi Cai in Australia! Familia Alfonzo Betancourt said…Congratulations! I’ve visited your blog for a while and all the things that you have createdand are really fantastic . You are definitely an inspiration.Even though I do not live in the States,because I’m from Caracas-Venezuela, I was counting the minutes to watch the video on martha’s page. You did a wonderful job! Once again, Congratulations! Bakerella : omgosh. that makes my day! patsy said…You did a great job!! I told all my friends – we’ve been making your pops since you first put them on- we loved seeing you in real life.Your recipes are amazing- I can’t believe you don’t own your own business. You should at least write a book with all your great ideas~ seriously!! crisscross said…hello there, greetings from Malaysia :). I watched the show online & immediately checked your blog. I absolutely adore your creation. I am planning to make these miniature treasures for my party. Bakerella : you’ll be the hit of the party! Anonymous said…I didn’t know anything about you until I saw you on Martha. I thought you were terrific! Your blog is fantastic and an inspiration. Thank you! Bakerella : wow… thanks for taking the time to say so. Anonymous said…I discovered you on Martha, is there a way of signing up for your blog – like a newsletter?? Bakerella : Not yet. I should look into that. thanks! Meredith said…Congrats! I loved the segment. So nice to see a home baker make it big! This could lead to bigger things for you. Are you ready?! Bakerella : Yay for home bakers!  acdshottie said…I’ll admit that it was seeing oyu on Martha that introduced me to your site and I LOVE it!! I have about 4 different grocery lists from recipese of things I want to start baking. I’m so excited to start trying your stuff!!! Bakerella : That’s cute! happy baking. CupcakeLady said…Hi Bakerella…it was great seeing you on Martha Stewart, and being able to meet the face behind all the cute little desserts that you make. Good job! Bakerella : Oh thank you! Stephanie said…I just watched you on the Martha Stewart website – it was lots of fun! I’ve done the cake balls before and loved them, and now I can do the cake pops, having seen in more detail how they are done. You are so creative, and I admire your talent at making fun desserts. Great job! Bakerella : I hope you do the pops. Thanks. Anonymous said…There are many segments on Martha which capture my full attention; but none have, until now, motivated a recipe search, and a blog search, and ultimately, a comment. Thank you for sharing your cupcake pops; I’m truly appreciative. Bakerella : wow, I’m flattered. thanks for taking the time. I appreciate it. Bakerella :You could do the pops and then put 08 on the top like I did with Martha’sname. Here’s a link to some molds. Tracey said…I LOVED IT!!!!!!!!!!! You are so cute and you got to meet Emerill too!!!! What did he have to say about your Cupcakes? It is so nice to see an at home baker get on Martha, makes me so proud of you!! WAY TO GO!!!!!!!!! Bakerella : Yeah – Emeril was a great surprise and he even asked me about the pops. Bakerella : Thanks, I’ll check that out for sure! Michelle said…I, too, saw you on Martha, in fact I watched the show again when it replayed later that night. Bakerella : Oh wow, I can’t believe you think so. Thanks for the compliment. Bakerella : Hi there Lacey from Hostess with the Mostess. That’s a great site. Bakerella : Oh, very cool and great name! 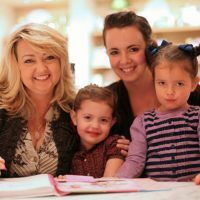 I just found your blog through MomBlogs, although I think I’ve been here before.Congratulations on being on the Martha Stewart show! I missed that episode, so I hope to see it somewhere soon. I’ve added you to my blog, The Downtown Boutique, as one of my favorite “foodie” blogs. I’m now very anxious to try out some of your recipes! Bakerella : Try the cake balls first. They are a great way to practice for the pops. ~Maura~ said…HiI live in NYC Staten Island to be exact and I loved your episode. My oldest son’s birthday is coming up and I want to try and make these cupcake pops. My husband is currently in Iraq and I know he would love these, but they will have to wait till he comes home in 2 months make sure I get red white and blue sprinkles! You did a great job! You now have another new faithful reader of your blog, next time your in NYC lemme know and I will show you Staten Island lots of good stuff here! Bakerella : Thanks for the offer. And, I love your idea for the red white and blue pops. Do it! islandeve said…Congratulations on your appearance on Martha! I will have to find that segment and watch you! Today is the first time I found your blog and fabulous ideas and pictures — they are amazing. I would like to add the red velvet cake balls to a cake I am doing in 2 weeks. I was wondering if you know what type of ribbon works best to wrap around cakes, the kind that don’t absorb the oils from the cake and the color…. I am sooo excited to have found your site — thank you! Bakerella : I’m sorry. I haven’t tried using ribbon on cake like that. Try cake central.com I think they have some discussion forums and I’m sure someone there would know. Lindsay said…You did a WONDERFUL job on Martha- you are adorable!! I had just discoverd you a couple days before seeing the promo on them for Martha and was so excited for you!! Hope you had a blast!! Dave & Catherine said…You were fantastic! You’re truly an inspiration to all of us novice bakers out there… Being on Martha, & having Emeril there the same show! It’s like Mecca! Congrats! Bakerella : Thank you. I still can’t believe I got to meet them both. DomesticDiva said…So glad I got to see you on Martha’s website! I searched and searched for the show on my cable guide but couldn’t ever find it!! I tried my hand at making these adorable little cupcakes but they were not nearly as cute as yours. Watching the video helped tremendously and am so excited about making these for my little girls 1st birthday!!! LOVE THEM and YOUR BLOG!! You’re great congrats on the Martha gig!!! Bakerella : I’m glad you found it and that the video made it seem easier. Amber said…I recorded your Martha episode on my DVR and watched it this past weekend. You did so good! I was realy impressed. And I can’t wait to make some cake pops and see how they turn out. Bakerella : Yay for dvrs. I wish I had one. Sarah J said…loved the show. Did you come up with the recipe on your own. I am just starting to bake and find it sooooo difficult. Daniel’s Mum said…You are an inspiration! Thanks for posting all about your lovely creations! I can’t wait to give these little guys a try! Thanks! YOU ROCK! Bakerella : Oh my. you’ve got your hands full. That will be some party. Send pics if you decide to make them. supermom said…i thought you were just adorable on the show. so glad i found your blog. you have adorable stuff! Natalie Jane said…Wow! You are so talented. I just posted my first cupcake attempt on my blog. Hopefully it won’t be the last. Bakerella : I saw. they were lovely and what a cutie pie that was enjoying them. farjopa said…Wow, you are really inspiring me. I was searching the web a while ago since I started taking cake decorating classes. And I came across your Blog, you are amazing. Thank you for sharing all of your gifts and talents with everyone. PS. Loved the red velvet cake balls. Bakerella : Thank you – glad you like the red velvet cake balls. They are soooooooo goood. amanda said…It was super fun to see you on martha after being a lurker of your blog for quite some time – you were adorable and your pops looked scrumptious! Thanks for sharing your recipes! Bakerella – Thanks for lurking! 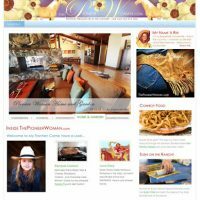 Anonymous said…I loved your Cupcake pops on Martha, I had to find your blog right away…so inspirational, beautiful and creative. I am a baker at a brownie company and just loved Cupcake week (cookie week too) and just wanted you to know that you have quite a product…I think you are onto something. Best of luck and great job on the show. Bakerella : Thank you for saying so. andrea said…i just made the cake pops for my son’s birthday party, then saw your mini cupcakes on martha.com today! that is amazing, and i just wanted to congratulate you!!! Bakerella : You’re funny! No, I’m back now and trying to catch up on things. I’ll be back to baking soon. Summer said…Congrats! What a wonderful accomplishment! Very exciting! You did a great job on Martha! I can’t wait to make the cupcake pops! They look amazing! Anonymous said…Wow! The cake pops are so neat! What a great idea! I was wondering something, I have looked everywhere for a 1.25 flower cutter. Do you or anyone know where to get them. I am dying to try these pops. Bakerella : Try Amazon or a craft store. I have found them in mini cutter sets by Wilton. And here’s another kind I’ve used. I think it’s the same one I have. 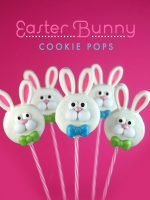 April said…I absolutely LOVE these cupcake pops! All our your other creations are awesome too! I wish I could just sit down and come up with stuff like that! You’re so talented! Congrats on getting your name out there! Looking forward to your new creations! Bakerella : Yeah, I have to start thinking about what’s next. Bakerella : Thanks Diana, I’m glad you took time to stop by and visit. Veronica said…Hi Bakerella! I am Veronica from the Philippines. I was inspired by your Oreo Truffles and so I made some myself using local Oreos, or what we call here as Cream-Os. I shaped it into different shapes and dipped it in child-captivating vanilla-flavored colorful chocolates. Please check out my site at http://veronicaskitchen.multiply.com and see what I’ve made. Keep on inspiring! Bakerella : Great job. Your colors are so fun! maybe strawberry said…I wasn’t home on Thursday so I DVR’d Martha Stewart. i just watched it yesterday and it was so great seeing you on the show making the cupcake pops. you were great! thank you for sharing your great idea with us!!!! Bakerella : Thanks so much and you’re welcome, too! cupcake fantasies said…I just watched your demo on ST show. Brilliant! You are a Star! Bakerella : sure, just look for a glass container of some kind and fill it with sugar. Then you can stand the pops up in them. They’ll be gorgeous! Congratulations on this well-deserved honor, Bakerella!!! You and your cupcake pops were terrific on Martha. I´m a big cupcake fan from Sweden and i saw your qute cupcakepops at Martha and i just loved it! I´m definitely going to make those pops! I’m a terrible baker, but I love to eat cakes! You are on my blog list now so I can pop over and see what you are cooking up next. Congrats on the big M appearance. I love your blog and have even make your Nutterbutter Balls which were so easy and so YUMMY! Congrads on going on Martha and meeting her…a super dream of mine! My sister and I might make these for her brother-in-law wedding celebration party this summer! I am just starting out, so is it ok to claim someone else’s recipe as your own? Do you have to change it? I did not hear you say it was someone else’s recipe on Martha. What kind of stick are they? Where can I get them? I hope it is on ms.com soon because I am sooooo sad I missed seeing you. Please keep us posted! You look great on Martha. I think I might actually be about to make these after watching you do them. You make it look so effortless. Thanks! Linnéas Skafferi – Wow. Thanks Linnéas from Sweden. Hope you make them. ~Phaedra~ thanks and stop by anytime for a sweet fix. Sarah J – If you know where the recipe is and you copy it, you should credit the source in your entry. If you use someone’s recipe and change it, you can say something like “adapted from… or inspired by…” and then list the original source. You can also mention the recipe and then link to the original where you found it. The Cupcake Pops were inspired by a Red Velvet Cake Ball recipe that’s based on cake mix and canned frosting. It was given to me by my BF’s Mother in Law and unfortunately, I don’t know where she originally found it. 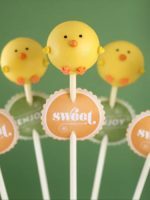 The cupcake pops were made using a homemade cake and frosting and the execution was changed from balls into decorated cupcakes on a stick. Hope this helps. And they are lollipop sticks. You can find them at craft stores pretty easily. Jo. 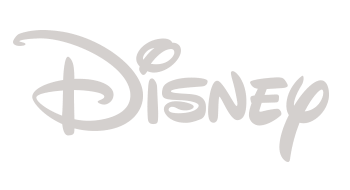 – OMGosh – T for Thanks!!!! Russ&Nic – You can do it. Go for it. So very cute! I enjoyed watching it. WOW! I had no idea that it was you. I saw that show. Great job landing a spot on the show. Well done appearance as well!!! I hope you get to visit Martha often. Hello! I love your blog and I’m going to make the cupcake pops this weekend! I was wondering if you take the photos of your creations and if you do, what type of camera do you use? The photos are amazing! What program do you use to create the photo collages like the one you did for the cupcake bites? I came over from flashing yellow lights and calico…wow, wow, and more wow…really, people are so talented. I missed your debut on Martha, and I’m so sorry. But I tried your recipe for Valentines Day, and it was amazing. I was ready to go into business when it was all said and done. It’s the most unique and whimsical idea. Thank you for sharing your gift with the world! Angie, I loved your segment on Martha. Martha is right, you should go into business. I love the photography too on your blogs. You make me so hungry for sweet stuff. I want to try several recipes. I love anything with peanut butter or chocolate. Great job! I saw you on Martha. Your ideas are so creative. I have to bring something to my child’s school for the cakewalk at the carnival. So, I made your oreo pops. I used dark and white chocolate bark with colored sprinkles. They turned out so cute and I can’t wait to show them off. Thanks so much for sharing your ideas. Bakerella!! I’m SO proud of myself–thank goodness you were on Martha—watching that show helped me make those cupcake lollipops! I’m going to debut them at my daughter’s 1st birthday party tomorrow! OMG! Like I needed a new addiction:) LOL! I love this blog and I can’t wait to try stuff! Congrats!! I’ve seen many celebs and pros flub or embarass themselves when cooking w/ Martha. You did a great job! Your blog (esp the pics!) is beautiful. Can you please share or refer me to some sources to learn a few tips?